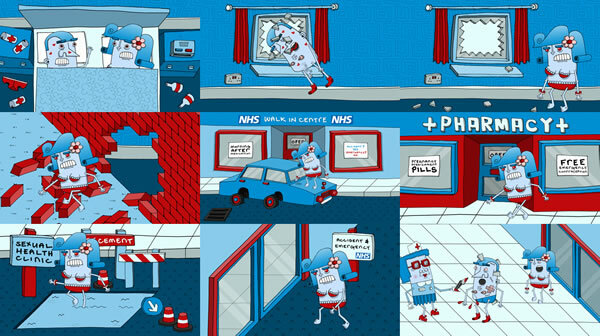 I was commissioned by the local NHS (National Health Service) to make a short animation about emergency contraception. 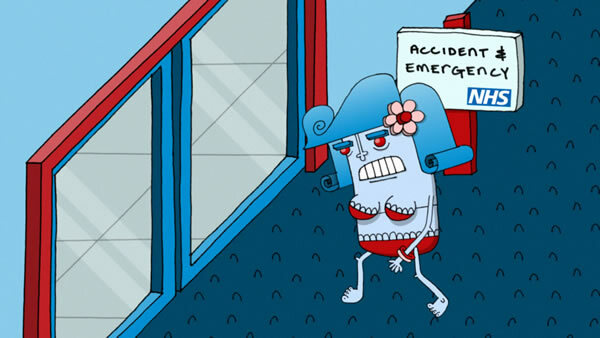 The problem being that too many people are panicking after they’ve “done the deed” and are turning up at Accident and Emergency departments for the morning after pill. Emergency contraception is freely available from most pharmacies as well as other places like NHS walk-in centres so there’s really no need to go to A&E.